“Good cuisine is primarily a matter of mastering a number of basic techniques and using the appropriate cooking utensils.” This is the motto upheld by the Demeyere company, a family undertaking founded in 1908 and currently located in Herentals. Demeyere has become a reference the world over for the production of culinary cooking utensils made of stainless steel. 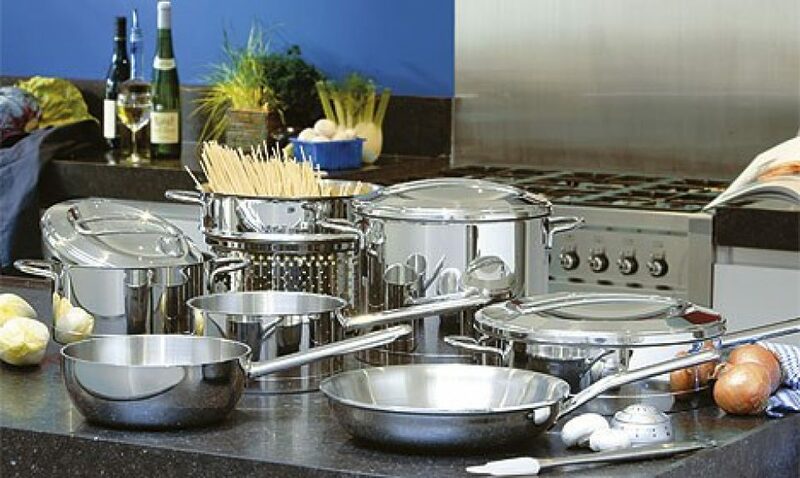 Over multiple generations, the company has succeeded in developing cooking utensils of the highest quality. Besides well-adapted and innovative technology, Demeyere also attaches great importance to the appeal of their products. Cooking utensils should not only work efficiently, they should also look good and decorative, both in the kitchen and on the table. This is why he last couple of years Demeyere has cooperated with nationally and internationally acknowledged designers. The result: beautiful, stylish cooking utensils of the highest quality. The exhibition also has a scoop in the form of cooking pots resulting from the intensive cooperation with internationally renowned English designer John Pawson.